supernaturalfun – Witches, ghouls and things that go bump in the night and books about all of them. Witches, ghouls and things that go bump in the night and books about all of them. Some people get goosebumps just by hearing the phrase “witchcraft”. The traditions of witchcraft have been passed down for centuries, so real witches don’t like the idea of modern witches using occult apps which they download on their smartphones. witching apps not popular with real witches can be downloaded from your mobile device. In fact, it doesn’t matter which area of witchcraft you’re interested in – spells, tarot card reading or numerology – there is an app for it, turning anyone into an instant witch if they like. There are many seasoned witches who aren’t thrilled with the idea of their ancient traditions being converted into gimmicky apps. We’re living in a time when there are many people who call themselves witches or fortune tellers who have no credentials or qualifications, and they make good use of these occult apps. Traditional witchcraft practitioners want to distance themselves from those practicing with modern apps, which they feel has little to do witchcraft. Whether you believe in it or not it is important that we hold traditions and legacies in the highest regard and not just them to make money from gimmicky apps that anyone can download. To know more about it, click on https://goo.gl/NrsRXJ. Modern witchcraft has grown in popularity and acceptance in recent years. It has introduced ancient concepts and rituals into the beliefs of modern society, promoting consciousness and appreciation for all life and death. However, in the days of the colonies in the Americas, colonial witches were forced to play a very dangerous game in order to keep their rituals and beliefs a secret. Since the 17th century was strongly charged with fanaticism, the Puritans believed that the devil was among the colonies, lurking in the shadows. They believed a witch to be a person with a pact with the devil in exchange for power, which led to the accusation and hanging of many people, the majority being middle-aged woman. However, in September 1692, the witches confessing their possession would not be punished by death. But beyond clashes with Puritan fanaticism, colonial witches found in the Americas many virgin lands, exempt from man’s modernization, and a deep cultural and mystical exchange with Native American and African rituals. I am very much fascinated by movies on magic and really loved the harry Potter series, which I thought was an excellent adaptation of the books. Last week I came across a very unusual title of the last witch hunter. I searched for the rating on imdb and it was a mere 6.0. I generally do not watch movies which are rated lower than 7.0, but since it was a subject I love I decided to watch. So, I went ahead and booked the movie on Netflix, and watched it. The storyline of the movie was real good. It is the story which says that there are two kinds of human beings on earth – one with magic inside them (Wizards and Witches) and without magic. The story is a struggle between the two. The witches and wizards led by the witch queen want to have supremacy and hence bring forth a plague which kills those without magic. The movie starts with the main character Kaulder searching for the witch queen and slaying her. But while dying the witch queen curses Kaulder with immortality. He becomes the fighter for the human race, and witches and humans reach a compromise that magic will not be used against the humans. However Kaulder does not know that the heart of the witch queen is still beating, and secretly hidden. The witch queen comes alive and starts to make a spell for the black plague again. Kaulder with help of a dream walker Chloe who is a witch kills the queen again and keep the heart which makes him immortal again. The movie is very different from other witch movies and I really liked Vin Diesel as Kaulder. A must watch the movie for people who love magic movies. 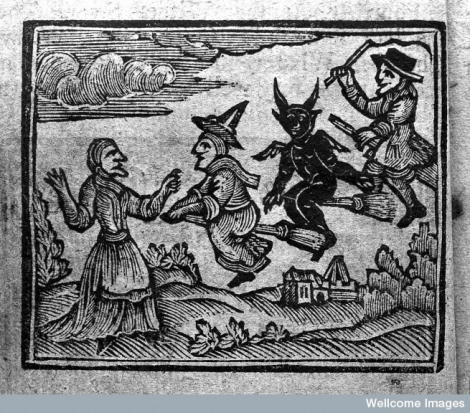 Witches in the past were widely persecuted. In 15 –17th Century, witches were hunted down and killed because they were considered evil and against the bible teachings. However looking at witchcraft through the modern technology, we can conclude that it was not as bad as it was thought to be. The work of witches has greatly contributed to the modern medicine. In many societies, witches were the doctors. They cured diseases by appeasing the offended spirits. In fact, it is the role of the witches and magicians in different society that emerged to be the different modern medical professionals we know today. Most of the plants witches used to cast away evil spirits are being used to today in modern medicine. For example Datura stramonium was used by the native Indians and it is currently used to treat motion sickness. It is now known as Scopolamine. In some societies, witches performed minor surgery to help in their rituals. Some archaeological evidences have shown bones that were surgically repaired which may have been broken during wars or accidents. It is assumed that witches performed these surgeries. Witches also made incisions on their patients’ bodies to apply their herbs. When you look at what they did, the modern science is doing the same except that we don’t believe infections are evil spirits. To read more about it, click on https://goo.gl/Z1tSzC. The mythology about witches have remained for a long time. These myths do have a grounding in reality (even though we can’t really settle on whether witches are real or not). This brings us to the question- why are witches always depicted with broomsticks? Of all the things they could fly away on, a broomstick seems to be a rather odd device. This is quite a NSFW tale, but one that is extremely interesting. From a modern view point, it is believed that witches were essentially women who were considered too knowledgeable or too forward for that particular age (and in some cases, people who were too old, and could not defend themselves against accusations). At that point, women were supposed to be domesticated, and remain at home, so professional women were not found too often. In this situation, a broomstick became something associated with the women- for they were the gender that was supposed to do all the domestic work. However, there is another side to broomsticks– they are rather phallic in stature. Add this to the fact that they were used widely by women, the idea of “riding away on a broomstick” became an image that described women that did not follow the rigid gender, and sexual morality of the day and period. This is the reason why witches are always depicted to fly on broomsticks. Witches and books together make for an awesome combination. I remember reading The Witches by Roald Dahl and being spellbound by it. For starters, Roald Dahl is an excellent writer. The Witches is a children’s book, but adults would enjoy it too – ask me I have read it as a child and re-read it a couple of times. The story is set in Norway as well as in the UK and is all about a young boy whose parents were killed after driving into a raving and he moves in with his grandmother in a world of child-hating witches. Yes, witches hate children, they want to kill them. But before you wonder how I could be recommending such a book for kids, remember that The Witches is a child’s book, and Roald Dahl makes the killing of children something quite amusing, like turning one of the children into a garden slug. There is some tension in the story where the boy and his grandmother are staying in a hotel in Bournemouth, and the boy is trapped in a ballroom filled with all of England’s witches as well as the Grand High Witch. There has been quite a bit of criticism for the book but if witches is your thing.. then this is for you…even if you’re an adult. Witches are Real or Fantasy? We have been seeing witches in movies, but are they real or just a story book character. Modern science says that witches cannot exist, but the religion says something else. of course the witches are not with pointy hats and noses with acne. Huh these are all creation of movies. Magical powers and brews are not real. So, what is there to prove that witches exist? The witchcraft is the only thing that proves that witches and wizards do exist. There has been many instances of unexplained revivals of dead people, and witchcraft is supposedly responsible. The stories are there to make us believe that witches are just a fantasy, but even history says otherwise. How could Arthur unite England without Merlin, and why did Solomon change after he had the magical ring. History has instances of many events of witchcraft. Is it present in the present age? Yes it is present as a religion Wicca, and it is growing rapidly. Witchcraft and witches are all around us in form of Tarot card readers, fortune tellers, crystal gazers and they are sometimes more effective than science. So we are actually missing something. We are not aware of many people actually practicing witchcraft. They have no need to promote it, in fact there is a degree of secrecy about them. Although having the internet allows all sort of information to be accessed. Their are sites for spells, sites to learn witchcraft, although these tend to be more for charlatans who just want to earn money. Often using the sites to promote other services, like shopping or loans to earn extra cash, a rather good indicator that they are not legitimate! More research needs to be done in the customs which we have categorized as witchcraft. It is actually ancient science which we modern people do not understand. Movies on magic is incomplete without witches. They are intriguing and spooky. Hollywood has been very interested in witches and has portrayed them across generations. Here is a list of great movies on witches. 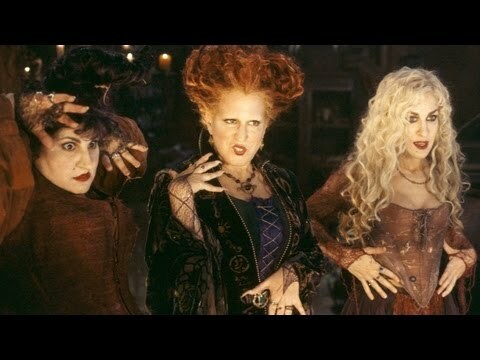 Hocus Pocus – Released in 1993 this is an iconic witch movie. The story is based around the resurrection of three witches by a teenager. The witches wreak havoc and are about to become immortal by sacrificing the whole town population. But good wins in the end. Mary Poppins – A great movie for kids, with “Julie Andrews” playing the witch Mary Poppins. She is not the spooky one but a beautiful good witch. Such good portrayal of witches is rare in hollywood. The Wizard of Oz – The unforgettable green wicked witch from Wizard of Oz is really spooky. She frightens and is really bad. Season of the Witch – A great movie which brings together witches and knights and courage. Nicolas Cage brings life to his character and the young witch is very convincingly played by Claire Foy. Practical Magic – This is a really interesting movie about witch sisters having a curse on them. The sisters played by Sandra Bullock and Nicole Kidman is about love, courage and fight against the dark forces. Kiki’s delivery – This is the best among animation portrayal of witches. The story revolves around a young witch taking up job of a delivery person. Black Sunday – She drinks blood and cannot be killed. Worshipping satan it is the most frightening portrayal of witch. What is the Wheel of the Year? While television and movie witches are bathed in special effects, real life is much different. Seasonal gatherings and community celebrations mark events connected to fertile crops, fertile stock animals, fertile humans and human survival. Since most witches no longer live in farming communities, and we have enough people on earth, the focus has shifted to fertile minds, instead of fertile bodies. These celebrations now reflect our mental and emotional progress from one season to another, with our capacity to learn and understand being paramount. 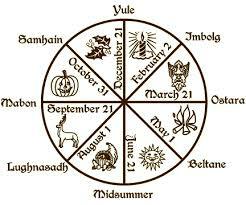 If you know any witches, you may hear them mention the wheel of the year. It is a simplified circular calendar , read counter clockwise, illustrating the major and minor holidays. Celtic versions of the wheel are most common, but each tradition may have its own version featuring holiday names and dates specific to each. Since these holidays reflect planting, harvesting and fallow, witches can also use The Farmers’ Almanac to schedule holiday celebrations. As every coven and community is different, their celebrations may feature different highlights, but most celebrations consist of a meal, with participants contributing a dish, followed by the appropriate ritual. Rituals can present concepts as metaphor and/or act out myths that are handed down or reconstructed. You may have witnessed rituals without knowing it. There are places where people, who are not witches, still dance the Maypole around May first. The participants dance, unaware that they are performing part of a Beltaine fertility ritual. The average person sees at least 3 witches a day, but remains clueless. Witches, on the other hand, tend to see only those who fit their own version of a “witch”. Some say that only caucasian people with red, curly hair can inherit witchy tendencies while others say that witchcraft is a European practice. Unfortunately, regardless of position all of these people are missing something important. Since you can’t point to a distinct ethnic group and label them “witches”, the only way to discover who today’s witches are by examining practices. Witches use herbs to ease ailments, as has been common among African Tribes. African witches are considered healers and are persecuted, as they have been in other cultures. They observe nature, then use those observations to affect change. They provide comfort and create seasonal rituals. Obviously, these practices are not limited to Europe. In fact, you’ll find that every civilization thriving in today’s world, began with a cluster of primitives struggling to survive. In other words, there are witches in every culture, and anyone can claim their life is that of an hereditary witch. However, you also see these practices in scientific research. That’s right, science. In fact, we may have had communities on the moon and Mars if human-kind had not suffered the plague, then the dark ages. Without the mass, forced conversions of that time the human race – as a whole- might be living in distant galaxies by now. Many of the lingering prejudices against women and different skin tones may have never developed without the inquisition’s aftermath that triggered all of the colonizing, and took monotheism out of Europe to other lands. Who is a witch? Anyone you speak with, see or hear about might be casting a circle, and settling into meditation, at this very moment.